I will put my hands up and admit that I have only read two Bluemoose books so far. That said, they only have twenty-three books on their list at the moment. To mash up the Shakespeare quote, though they be little, they are fierce, so they punch way above their weight for their size. Their key to success though is choosing top quality books that become critically acclaimed. 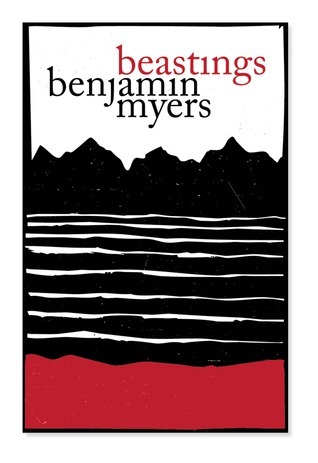 The two that I read were both by the award-winning and brilliant author, Benjamin Myers. And both brilliant. 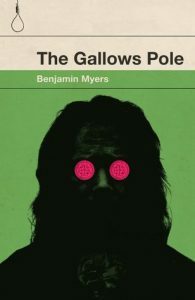 The first was The Gallows Pole, a story based on real-life events about the Cragg Vale Coiners and their business is ‘clipping’ – the forging of coins, a treasonous offence punishable by death. Other thought that it was so good that it was awarded winner of the 2018 Walter Scott Prize 2018 for historical fiction as well as being the recipient of a Roger Deakin Award. The second was Beastings, a story of a frantic chase across the moors after a girl takes a baby. It is a shocking book and it is deeply rooted in the Cumbrian mountains and the hermits, farmers and hunters who occupy the remote hillside. After these, Pig Iron went straight on the TBR. These are only two of their award-winning books too, they even managed to get Nod by Adrain Barnes onto the Clarke Award shortlist. Given that their catalogue is so small, I will probably end up reading all of them, but two that have a lot of appeal after looking at their website are Seaside Special – Postcards from the Edge and The Hardest Climb. Can you tell me a little about the history of Bluemoose Books? I won a national writing competition and was whisked down to The Ivy in London to meet the head of Macmillan and a top literary agent. It didn’t go well. 12 months later, after reading that all the big money advances were going to Irish writers, I changed my name to Colm O’Driscoll and sent off the first three chapters of a novel called ANTHILLS AND STARS to one of the biggest literary agencies in London. I had to be Irish for a year, and they signed me up. They sent it round to all the big publishers but nobody thought they could sell 20K copies and it sat on a shelf for 2 years. I started moaning about and moping around so Heth, my wife said do something about it, so we re-mortgaged the house and started Bluemoose Books, publishing my book and The Bridge Between by Canadian author Nathan Vanek. We made enough money to keep publishing and here we are 12 years later still publishing award-winning books. I am the only full-time employee and we have 3 brilliant freelance editors. All the typesetting is done by Carnegie who are based in Lancaster and our printers are based in Devon. The artwork is always sent out to various designers we use. We are a family of readers and writers and all publishing decisions are done collectively. Everything is based on the quality of the writing and our mission statement is to fine great new writers, nurture their talent and publish brilliant stories. Writing that grabs you by the scruff of the neck and won’t let go until the last word. We designate a lead editor to work with the writer, line by line for 12 months, getting the book into structural shape and then two more editors will come in to oversee the proof stage, polishing and honing it for 3 months. At the last stage, we have four sets of eyes proofing to make sure everything is as it should be before sending it to the typesetters. We spend an inordinate amount of time, energy and resources to make sure we have the right jacket that stands out from the crowd. When competing for bookshelf space it is imperative you book stands out and catches the casual browsers eye. 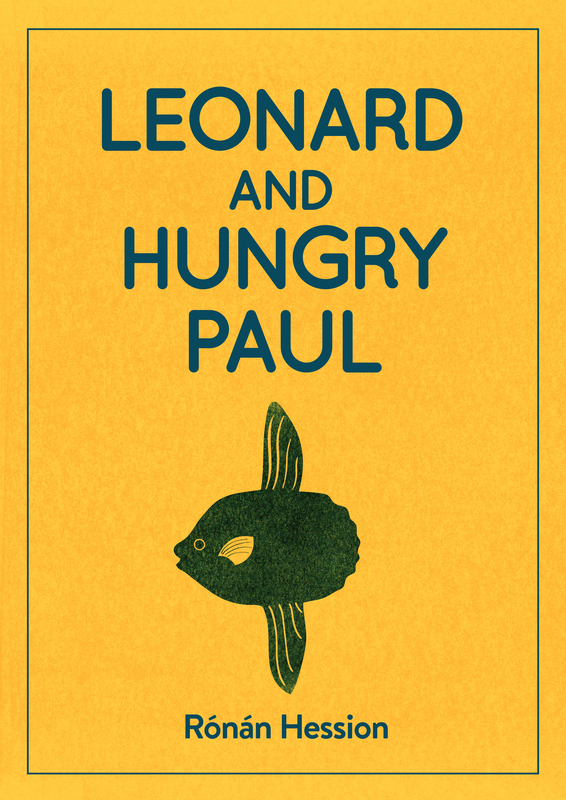 LEONARD AND HUNGRY PAUL by Ronan Hession, which we publish in March 2019. 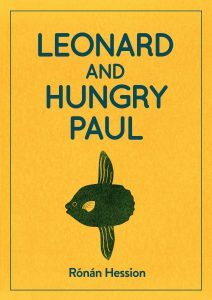 It is one of the finest debuts I have read in 20 years of publishing. Writing that catches your breath in its power and simplicity. 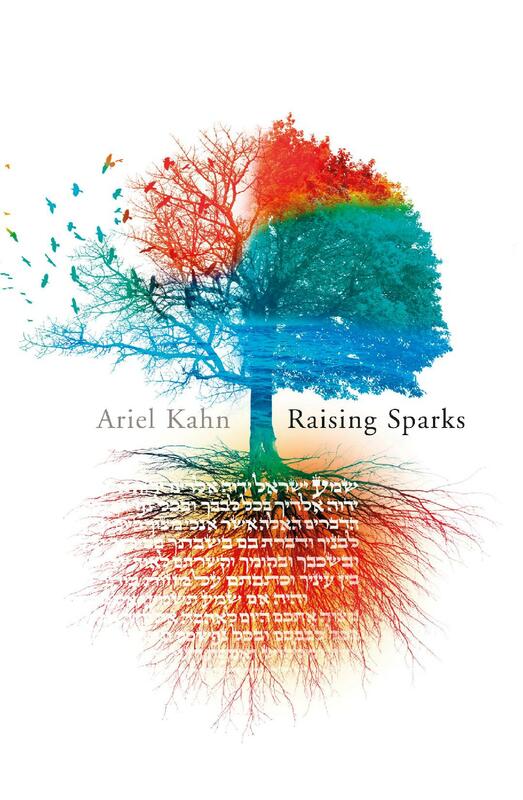 A stunning, stunning book from a very gifted writer. I was judging PULP IDOL, a writing competition organised by Writing OnThe Wall in Liverpool and Ariel came second. I spoke to him afterwards, and asked for the full manuscript, read the day after and offered him a contract the next day. Unbeknownst to me, that day was also his birthday. THE MAN WITH A SEAGULL ON HIS HEAD by Harriet Paige. Short listed for debut of the year by the Authors’ Club, considered a ‘Bona Fide gem,’ by The Guardian and it will be published in North America this October. They are all gems but it sometimes takes a bit longer for books to be recognised. BLACK NEON by Tony O’Neil is one, Irvine Welsh is a big fan and A MODERN FAMILY by Socrates Adams which is being published in France this October too. I’m on Twitter most days putting out photographs and telling book people about events. What does the future hold for Bluemoose Books? The future is good and we have some absolutely cracking books coming out in the next 3 years. Thank you to Kevin once again for taking time out of his hectic schedule to answer those questions for me. I really appreciate it. Their books are available from all good bookshops. I would urge you to buy them from an independent bookshop if you can as this supports them, the publisher and of course the author with one purchase.